The Carbon Fiber Collection masterfully blends the intricacy of fine watch face design, the dramatic styling of carbon fiber and the strength of solid forged brass cases to create a truly unique series of clocks, barometers and tide instruments. 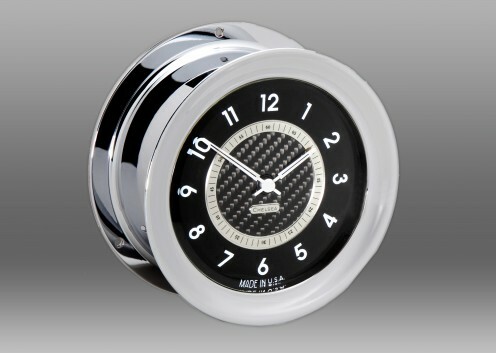 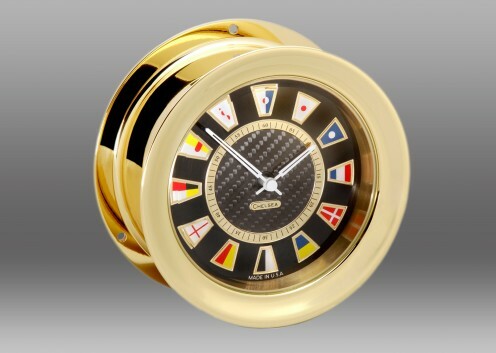 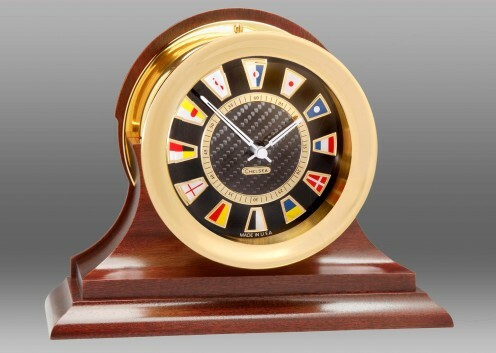 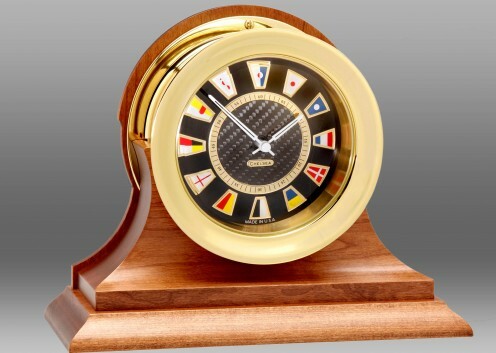 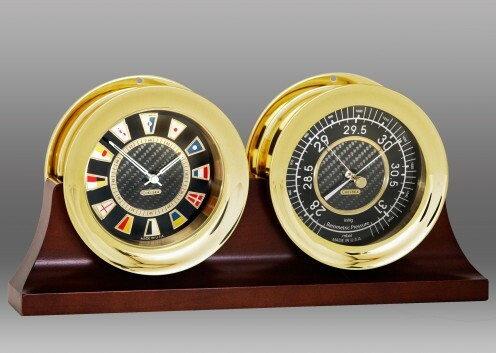 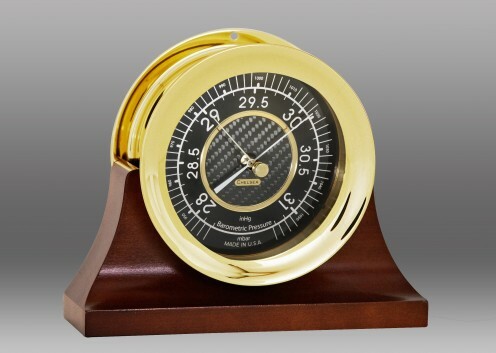 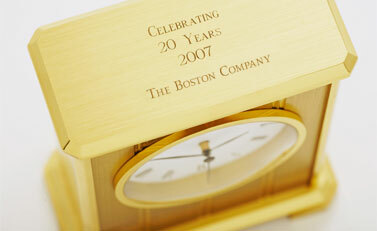 This barometer is a distinctive addition to any boat or home. 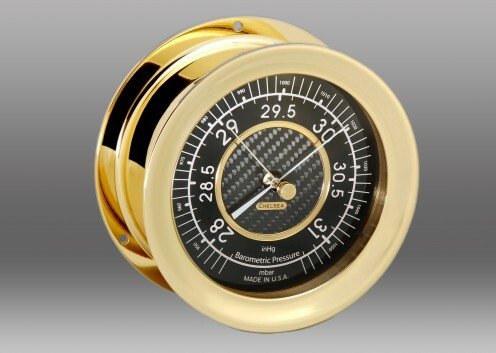 Our Carbon Fiber Barometer features a lacquered solid forged brass case, screw bezel, a double bellows holosteric barometer movement and a carbon fiber etched dial with both inch and milibar scales. 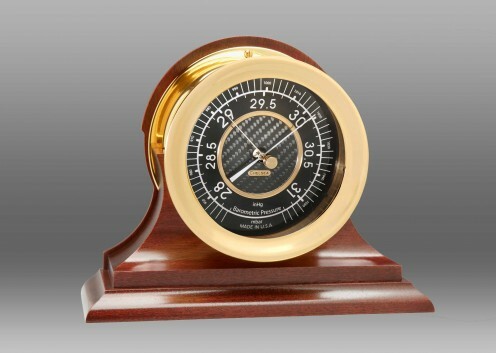 Contemporary base in mahogany. 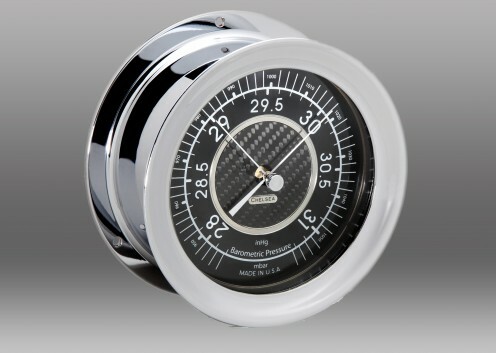 The Carbon Fiber Barometer is offered in Chrome or Brass finish, click change product options above to see all of the Carbon Fiber Clock product options.